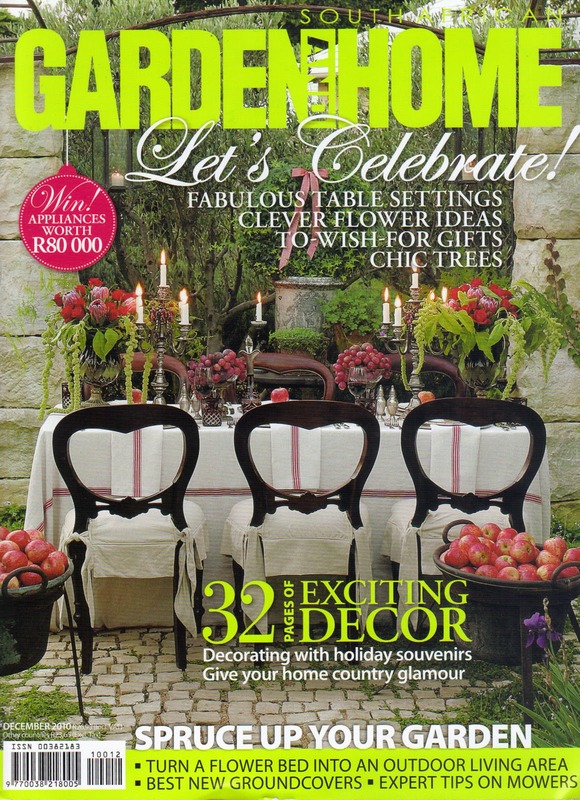 Garden and Home South Africa interviewed me a while ago and now the article about Mengsel, called "Adding To The Mix" is on the "Pat on the Back" section in the December 2010 issue. I can't tell you how amazing it feels to be recognised by such a prestigious South African publication like Garden and Home. 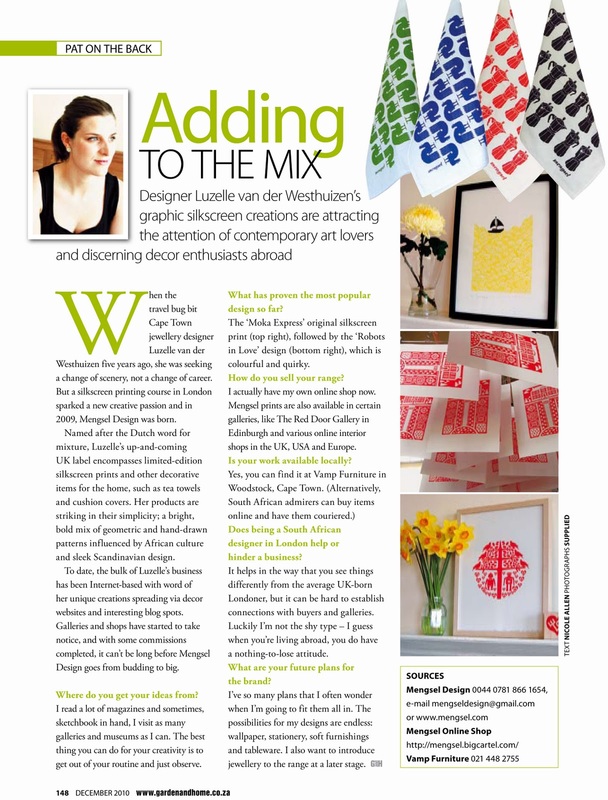 You can click on the image of the interview below to enlarge the image and read the article or if you are in sunny South Africa, you can pick up a copy at your local news stand. A wonderful end to a very exciting year for me!